In all of his many collaborations, I certainly could never exclude G.O’s work opposite his co-stars in his musicals. 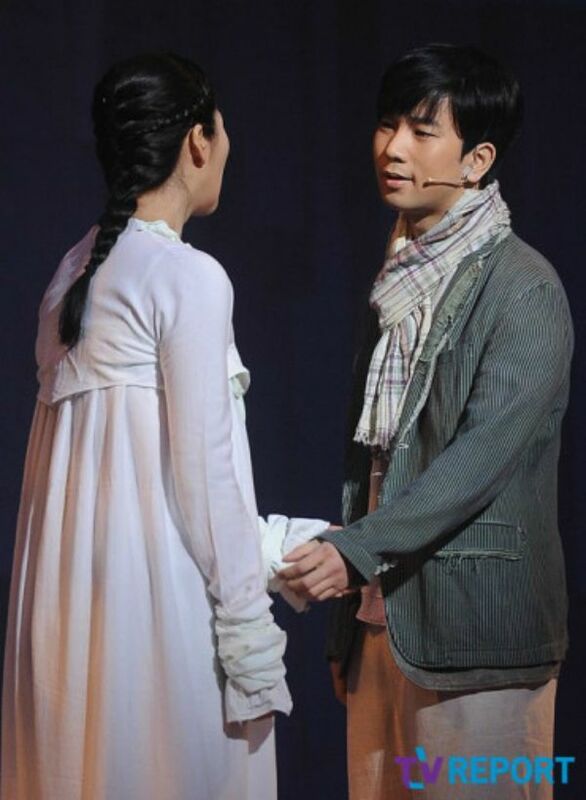 On 26 March 2014, there was a press call held for the musical 서편제 [Seopyeonje] and the touchingl 다른 소리 [A Different Voice] sung by Jang Eun Ah and G.O’s was beautifully captured and is, in every way, a heavenly collaboration. Any time I decide to revisit Seopyeonje I have to prepare myself for overwhelming emotion. A freight train of emotion, actually. The alchemy of G.O’s exquisite voice mixed with powerful acting invariably presented an explosive performance. And, as we have also seen, an award-winning one as well. I believe G.O’s success in Seopyeonje was achieved on his own merits. But a musical is also a team effort and the talented team surrounding G.O indeed elevated his performance, specifically those actors who portrayed Song Hwa and Yoo Bong. This is why I must deem G.O’s moments opposite his co-stars heavenly collaborations. 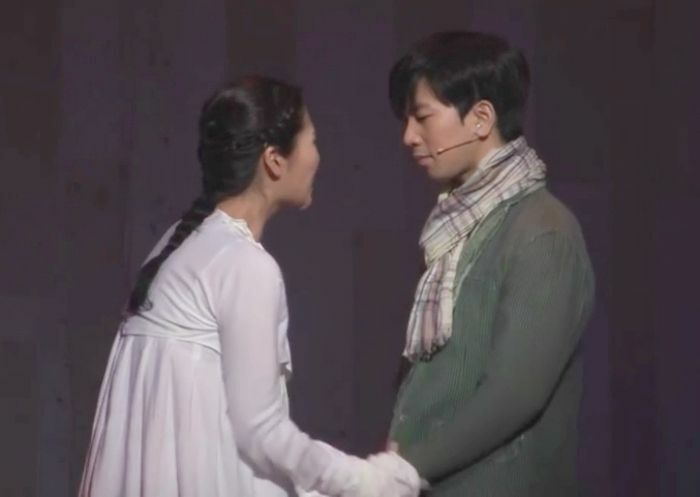 At the 26 March press call, G.O and Jang Eun Ah displayed heartbreak and sadness as a doting older sister reluctantly accepts that her baby brother must leave and pursue his own voice, a different voice, away from an abusive and stifling stepfather. Yoon Il Sang wrote such haunting and beautiful music for Seopyeonje. G.O and Jang Eun Ah delivered 다른 소리 [A Different Voice] with a tenderness that made each note feel like a teardrop. I truly hope that G.O will return to the musical theater stage in the future and create even more heavenly collaborations for all of us to enjoy. Of course, those collaborations need not be exclusive to musical theater…..I encourage him to collaborate on and off the musical stage! Categories: G.O Military Discharge, MBLAQ Musings, The G.O Files | Tags: G.O, G.O Heavenly Collaboration, G.O images, G.O's Military Service, Jang Eun Ah, Jung Byung Hee, Jung Byung Hee images, Korean Musical Theater, MBLAQ G.O, MBLAQ G.O images, Seopyeonje, Seopyeonje Press Call, Seopyeonje The Musical, The Heavenly Collaboration, The Musical Seopyeonje, Yoon Il Sang | Permalink.